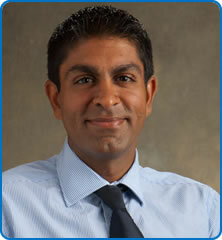 Dr. Talal Valliani is the clinical lead for Gastrointestinal and Liver medicine in the trust. Dr Talal Valliani has developed his sub specialty interest by undertaking a clinical fellowship in advanced and transplant liver disease at the Royal Prince Alfred Hospital, Sydney, Australia. Dr. Valliani manages all aspects of liver medicine at North Bristol with a special interest in transplant hepatology and non alcohol related fatty liver disease. Dr Valliani continues to manage a wide range of gastrointestinal conditions including inflammatory bowel disease as well as performing upper and lower GI endoscopy with a number of therapeutic procedures.